Dementium Remastered: Now You Can Wet Yourself in Terror in 3D! Shortly after graduating high school, my kid cousin brought his Nintendo DS excitedly to our house one day to show me his “great new game”. My initial thought was, “How great can a game that a 12-year-old is showing me really be?” Yes, I went on to eat those words, spit them out, and eat them again. 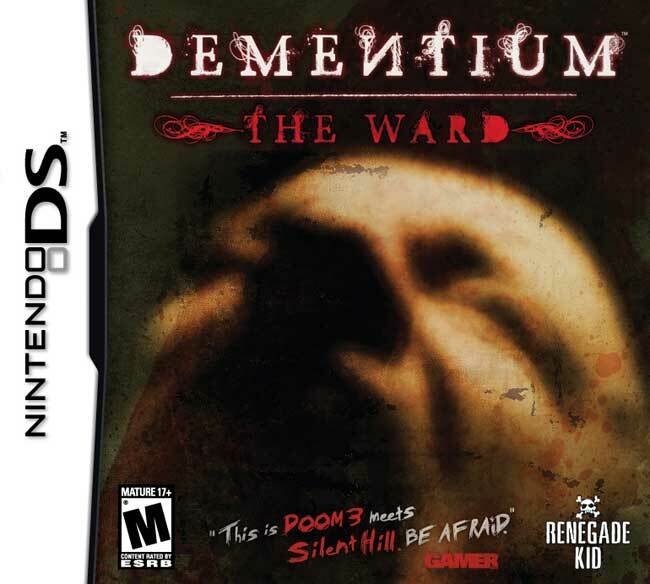 The game in question was Dementium: The Ward. Now, I’m no horror buff. I’d seen maybe two actual horror movies and, at the time, I hadn’t played a single Resident Evil or Silent Hill game. So imagine my reactions as I wandered half-blind through a hospital full of monsters waiting to jump out at me. 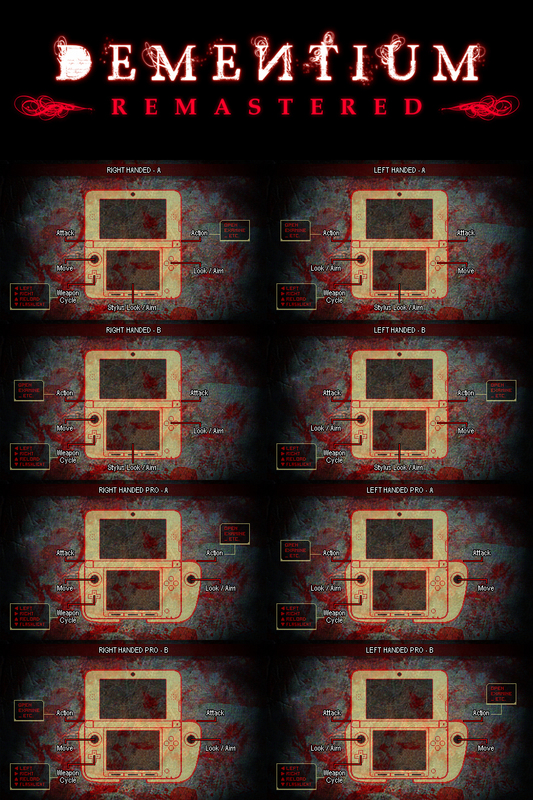 Did you know Dementium: The Ward was pitched as a Silent Hill DS game? I was instantly addicted to the game and was thrilled to find out some years later that there would be a sequel (Dementium II). It was great as far as wrapping up the story goes, but the sequel just seemed to be missing a little something that the first game had. So when I heard that the original was getting remastered for Nintendo 3DS, I was… well, a little bummed. This is a game that BEGS to be brought to the console world. Imagine playing this with the Wii’s motion controls as you shine your flashlight around the dimly lit hallways, desperately trying to find the source of that bloodthirsty growling emanating from everywhere at once. Still, I was happy to see that this little game was back, and I couldn’t wait to play it again and check out the upgrades. It should be noted, though, that it’s impossible for a review alone to show you the full extent of how Renegade Kid has improved his game – that is, unless you have a 3D computer… Maybe this will help though! For those of you that may have played the game and are expecting something largely different, you may be disappointed. It’s the same, very good, game at its very core. You’re still completely memory-less trying to find out who, and where, you are while also staying alive. So what’s different? The visuals are better, the controls are more intuitive, and some of the little bugs from the first go ’round have been fixed. The move to 3D alone adds a whole new level of terror to an already terrifying game. The beginning of the game, which consists of your character wandering in the dark through a hospital, can make you forget that 3D functionality was added because there’s so little to clearly see. This only makes the jump greater when the first monster lunges at you from a hallway closet. If you have a Circle Pad Pro or a New 3DS XL then you can play this in traditional console FPS style, a nice change from the joystick-and-stylus method employed in the original – although you may still want to go that route for either nostalgia’s sake or for added accuracy in some battles. The remaster boasts eight different control schemes, which sounds a little over the top until you realize it’s really four that have been optimized for both right-handed and left-handed players. What else is there really to say about Dementium Remastered? It’s faster, more detailed, more intuitive than the original. It will scare the crap out of you just like the original did. If you’re looking for a great portable horror game, then you’ve just hit the jackpot.